Replaced front end strut hardware on a 2005 PT Cruiser. Car runs great and they do an excellent job keeping the car in tip top shape! Great service as usual. Certious service. Repair was for recall issue. Do not remember who I delt with specifically. As far as this survey goes kind off dumb that there is a 25 word minimum. Picked a random person as the survey obviously can not read. All services and recalls performed as requested Replaced left rear coil spring go a second time to level out rear end. Left still rides over 1” lower Was told it is within manufacturer tolerances but not mine. Maybe both springs need to be replaced to match. Looks really bad for one and a half year expensive truck. Hope to address this issue in the near future. Tonja was extremely pleasant to work with. This is my 3rd Nissan from Tanner Motors and each experience has been exceptional. Exactly what I want, when I want it. They are a breeze to work with and make you feel like family. Thank you Tanner Motors and Thank you to my sales woman Laura. Great people and great service. The Tanned way of buying a vehicle is definitely the best way. Aaron was the best! He was quick, concise, did not waste my time, and was very respectful. I have a busy schedule and he made things happen so easily. I have always done my business with Toyota, but because my experience was so great with Aaron and Tanner I will be back. I will also be happy to send referrals your direction. 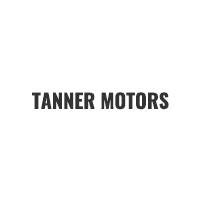 Tanner Motors has the best sales team and Service Center. Just one step in the door and you'll know why the Tanner away is the better way.